Mobile security may not be secure as you think. In September we have reported that the National Security Agency has the ability to access data on iOS, Android and even BlackBerry devices. Everyday a new revelation of NSA Surveillance Program makes Security and Privacy a major concern for all of us. Today we feel the need of highly secured Networks and Encrypted Devices to safeguard our privacy from Cyber Criminals as well as Government. Phil Zimmerman, Inventor of the email encryption tool PGP and Silent Circle's Co-founder (company specializes in mobile privacy and peer-to-peer encryption) has announced 'BLACKPHONE', a Smartphone that’s been designed to enable secure, encrypted communications, private browsing and secure file-sharing. 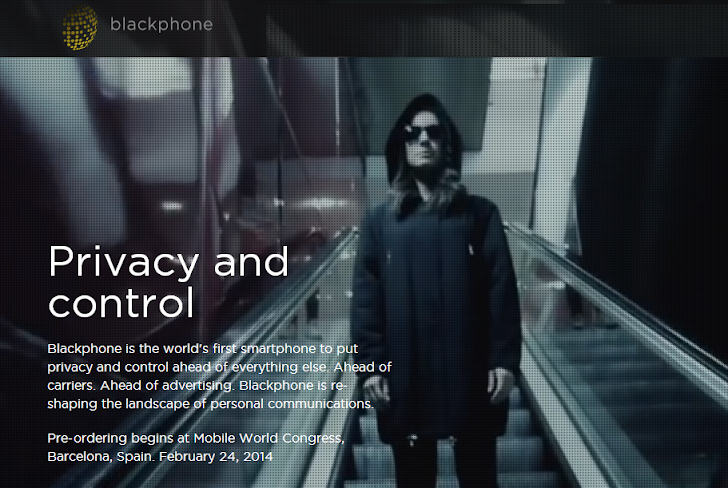 The company will launch BLACKPHONE in the 'Mobile World Congress', Spain next month, offers ‘PrivatOS’, an Android based operating system which will allow users to make and receive secure phone calls, exchange secure texts, encrypted file storage, secure video chat, browse privately, and anonymize your activity through a VPN (virtual private network). BLACKPHONE is not the first Smartphone that secures your communications with dedicated encryption technology, we have also seen GSMK CryptoPhone with similar features. But the best part is that company will make 'PrivatOS' open source, so that anyone can verify its authenticity. The Silent Circle had decided to shut down its secure e-mail service last year to prevent the NSA spying, and now the company is also working on a more secure service called Dark Mail. These Blackphone will be available for pre-order from February 24, 2014, but pricing details aren’t available at this time.